Well, Michaela, in ten days I will have finished chemotherapy, 20 long weeks of it. The second round of chemo has not been as bad as the first, and I am already starting to feel more human, and I am doing happy dances inside at the thought of being a regular person again! I still have five weeks of radiation therapy to do, and I will admit that I don’t yet know a lot about it, but aside from the fact that I have to show up for it every single day, I think it will be a lot easier. Then I just have to focus on taking care of myself, because there are still things I need to do here, and there are still people (and even dogs) who need me. Perhaps even you, Michaela. I asked the doctor recently about my prognosis, mostly because Libby was asking. I am actually cancer free right now, although that is technically characterized as being in remission rather than being cured. Because of the aggressive nature of the cancer and its advanced stage, there is a 40 percent chance of it reoccurring. The chemo and radiation cut that chance in half. I can’t remember the exact statistics, but the good news is that the odds are in my favor for surviving another five or ten years. I plan to help those statistics along by following a vegan diet (yes, even my doctor said that there is some evidence that a diet free of animal products helps prevent breast cancer), and living a healthy lifestyle. So if you are out there somewhere, I will continue to be here for you. In other news, Michaela, Libby is getting married next month. I drove to Oregon a few weeks ago to help her pick out a wedding dress. It was so much fun, and I really wanted to post at least a picture of the dress she didn’t pick, but she said no, not until the wedding. 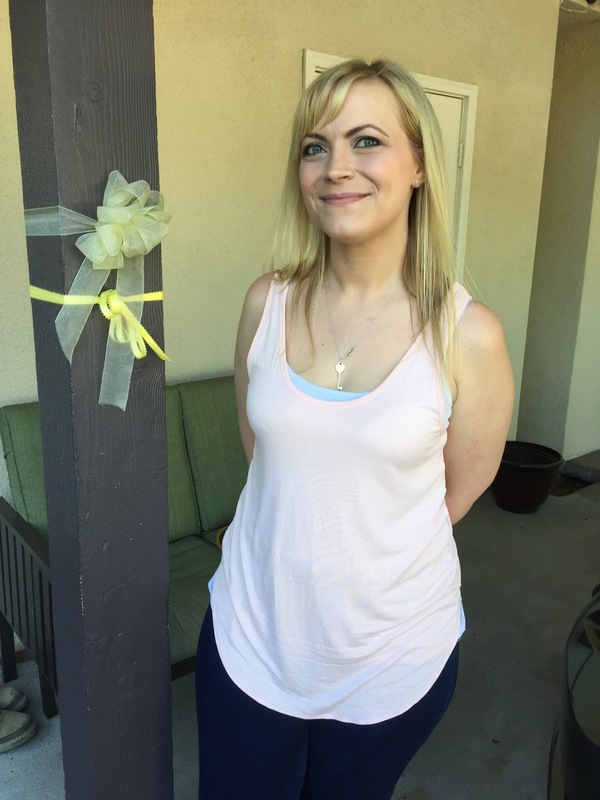 I did, however, get some other photos of her, including this one, next to the yellow ribbon she keeps tied outside her house, for you. You remember that little girl who used to be so annoying, wanting to follow you around everywhere? She still loves you, Michaela. She still keeps you in her heart, and waits for you to come home. And a final piece of news, Robbie and his wife are expecting a baby in December. We are so excited to have a new baby in the family, and so excited for Robbie and Alexa to be able to hold their baby in their arms. It’s a magical thing, holding your first baby. I was thinking the other day about when Theo was born, about being in the labor and delivery suite, and seeing the baby table there ready to take care of him, and it made real the fact that we were soon going to meet this mysterious little person, who at a year and a half is growing into this exceptional little boy who brings so much joy to our lives! I think about you, my own firstborn. In that moment when you were born, you transformed me, transformed my life. Nothing was ever the same. And I have to wonder about you again, if you are out there somewhere, and if you have children, and once again, if your children might be the reason that you cannot come home. If that is true, Michaela, believe me I understand. I would not ever in a million years put my need to know what happened to you, not even my need to see you and hold you again, above your need to care for your own children. I just don’t want you, or them, to be suffering abuse or to be in danger, and if that is the case, I just hope and pray for a way for you all to break free. I have told you before, if you can do that, contact the nearest U.S. embassy, and I have a page in this blog that I created for you about how to get help, with detailed instructions regarding the country where I have heard several times you might be located. I will post pictures from Libby’s wedding for you. I will do this because I want to include you in our family activities and milestones. It has been so long, perhaps you feel you don’t know who we are anymore. Would you recognize us if we walked down the street next to you? Whether you are with us, or whether you are far away, I want you to feel safe and loved in your family, to know that you belong here whether you are physically present or not. These are all just seashells laid out to guide you home, in your heart if not in your body. I love you forever, baby girl, and remember: You are strong. You are brave. You are good, and nothing can ever change that fact. You are loved. I am so very glad to hear how well you are doing in regards to the cancer. Prayers are answered. My love and continued prayers for you, Michaela and your family. I have been following your story since the beggining. I pray for you all the time. 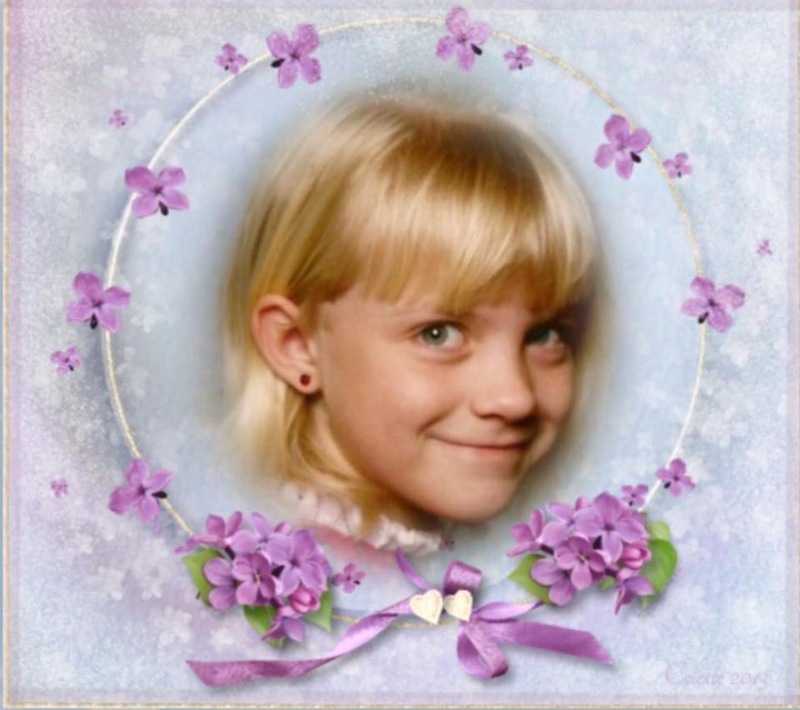 I wondered if you have evet spoken to a psychic medium about your daughter. I dont know if you believe in them or not. Yes I have spoken to dozens of them. God's continued blessings and good health. May your be found safe and unharmed. Stay strong. Love and light. Yes the market then was Rainbow Market and it was a lot more family friendly.